There’s nothing quite like the feeling of walking into a vintage shop, seeing a gorgeous Stetson hanging on the wall, trying it on and having it actually fit. It’s a rare occasion, indeed. Although an avid fan and owner of many, I’m usually not very lucky when it comes to vintage hats due the size of my noggin, but two days ago I happened upon this lovely right here and my name was written all over it. 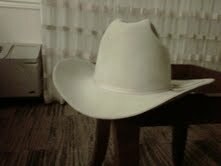 light grey rancher style beaver felt...MINT! 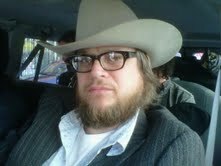 Nothing fits like a Stetson.